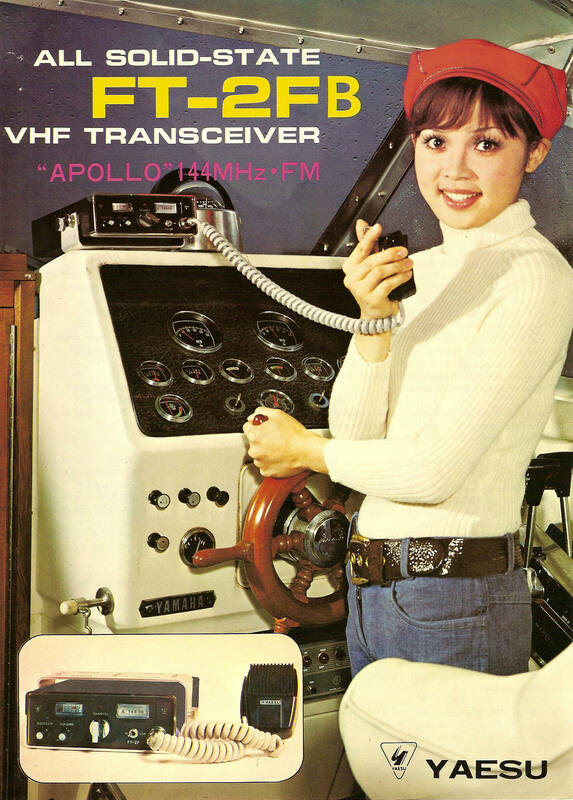 innovative engineers were at the head of the pack with the first of their kind digital VHF radio transceivers! 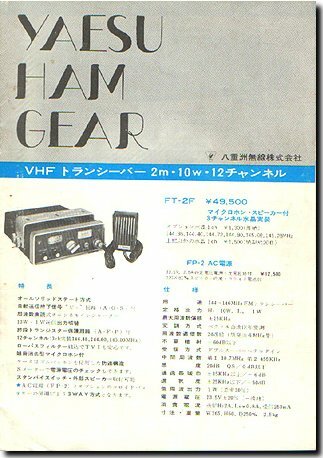 The early years of Yaesu VHF transceivers were indeed interesting and exciting. 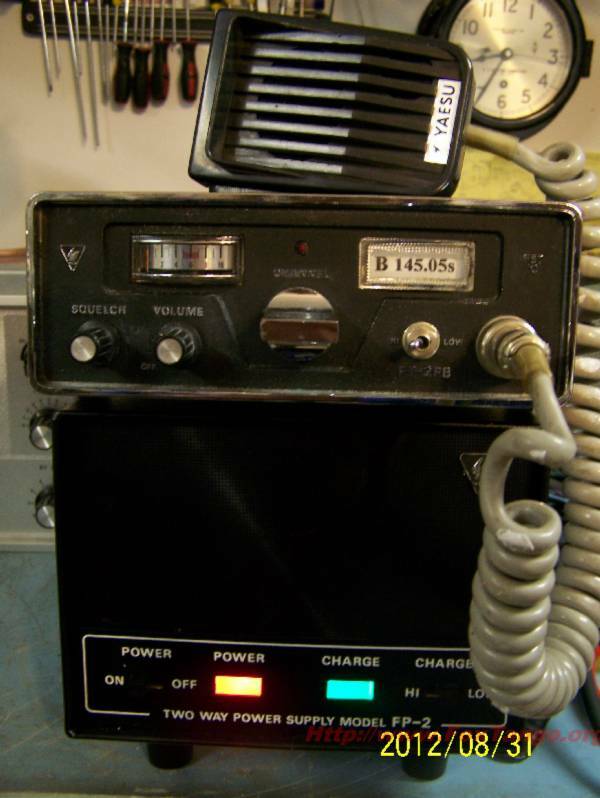 In the mobile and on the move, light in weigh, small in size, VHF transceivers of the day (Circ 1970) were welcomed by the amateur community around the world, replacing large bulky tube type radios transceivers made by Motorola, Heathkit, Gonset and Swan. 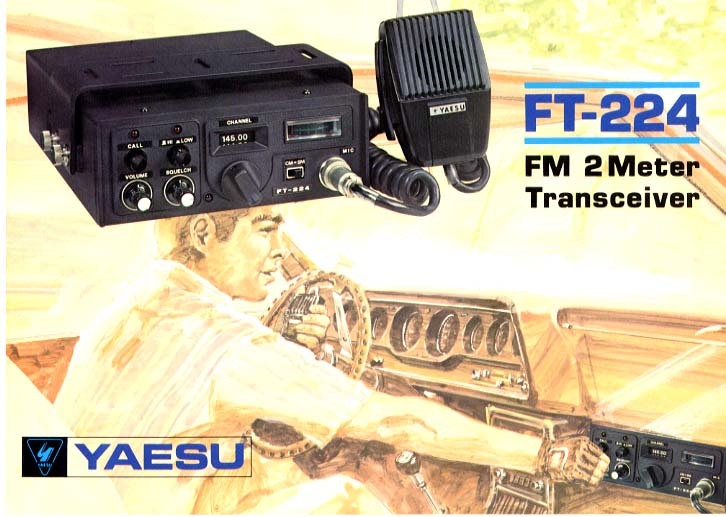 Starting with the Yaesu early entries into the VHF mobile radio scene we will look at the FT-2F, FT-2 Auto, FT-223, FT-224, the memorizers (FT-227, FT-127, FT-627) and CPU 2500 as time permits, assuming I live that long to finish the page! 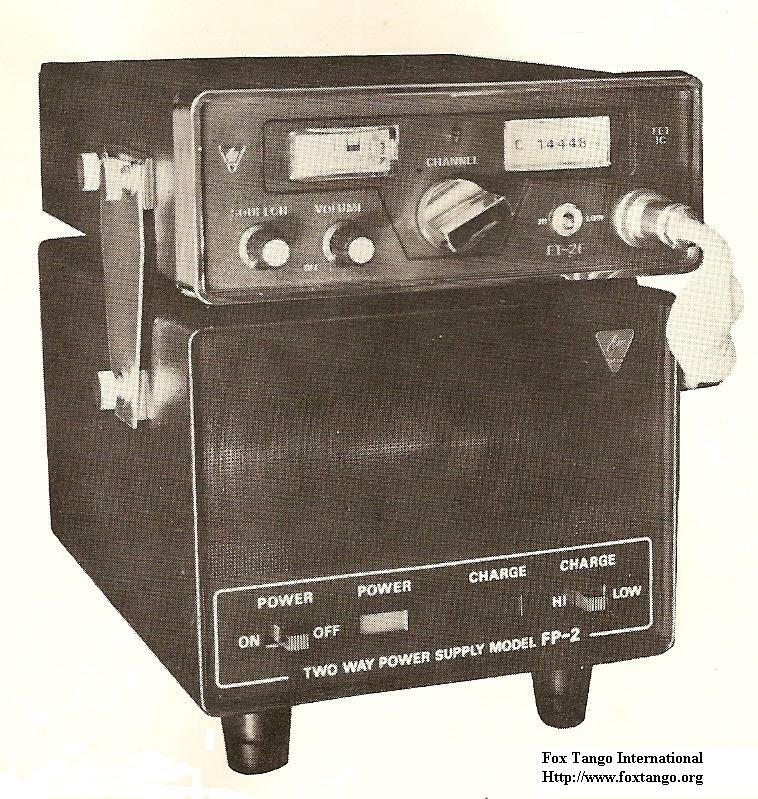 Weighing in at 4 Lbs in a heavy gauge aluminum cabinet the FT-2F/B was a rugged light weight mobile or base transceiver. Drawing 1.7 amps on transmit and 0.31 amps on receive the transceiver could be run on a 2 amp power supply. 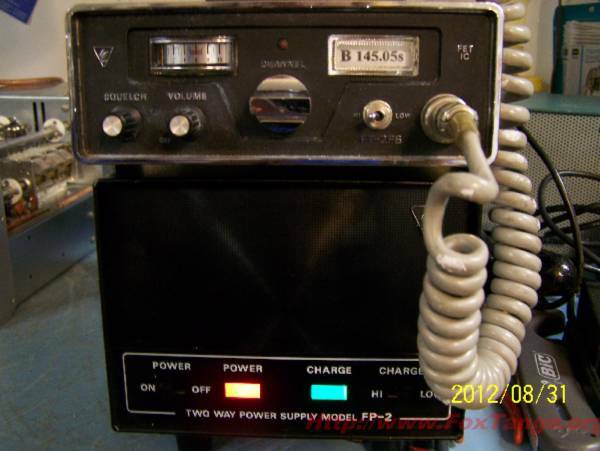 At that time Yaesu manufactured the FP-2 power supply for this little rig. 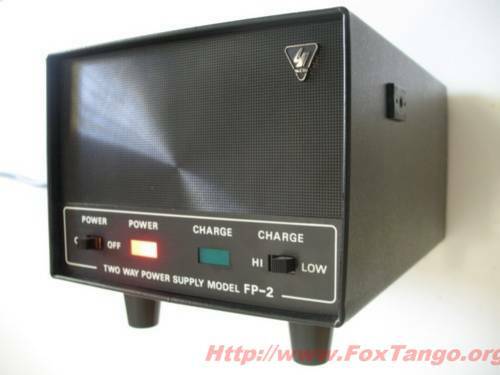 The FP-2 power supply was a solid state regulated power supply with an internal 12v battery back up. 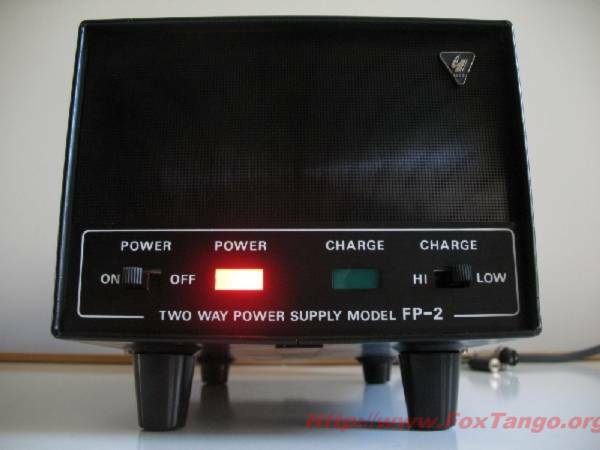 Taking a quick look at the FP-2, it is one cool little power supply ahead of its time. 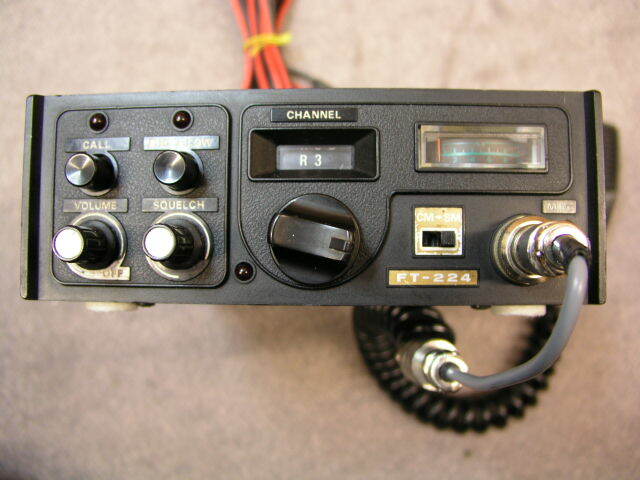 Finding a mint FP-2 is by no means an easy find these days manufactured in 1971 and now some 40+ years later its likely not to be a highly sought after item except to the Yaesu collector. I don't believe there were many of them sold in the United States and if you are looking for one for your collection you will likely need to put out a world wind search. 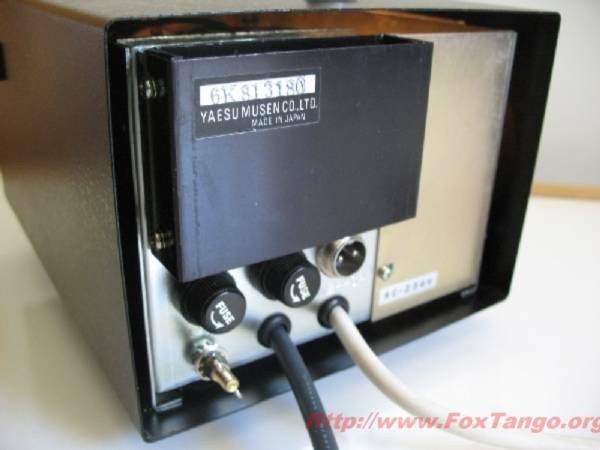 The pictures below are from my personal collection, this one was originally sold by Bail Electronic Services a well known distributor of Yaesu products in Australia in the early days. You may be wondering what is so interesting about a 2 amp 12vdc power supply? Lets take a closer look inside at this one and see. over to its internal battery keeping you up and running on the two meter band even with a loss of AC power. 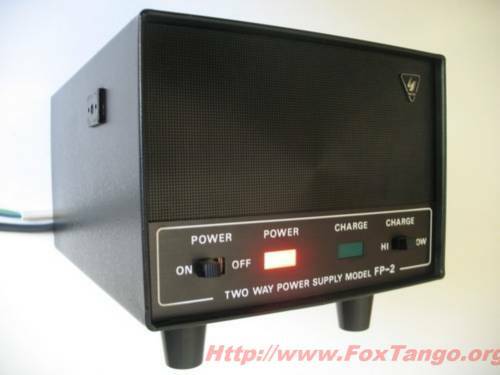 The FP-2 was sold for export (From Japan) and has a multi-tap primary transformer for 110v/117v/220v AC. Before doing anything the first thing we had to do was set the power supply up for 117v AC in the United States. 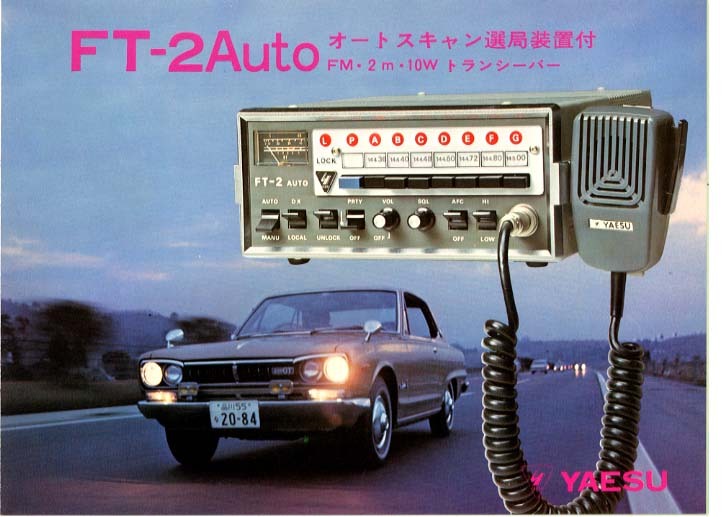 a well known distributor of Yaesu products in the early days of the Yaesu Company. 28 Silicon Transistors, 19 Diodes, 1 SCR, 3 IC's and 1 FET. In the 1970s the manufacturers had bragging rights by counting the number of semiconductors in their equipment and advertising this to the public! 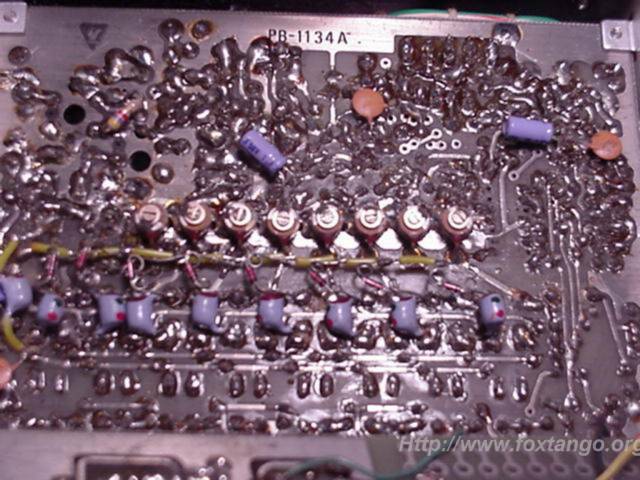 Try counting the solid state devices in your FT-1000mp! Do you remember the 6 transistor radio? Remember we were just coming out of the dark ages of the tube era about this time, so knowing how many transistors your radio had made for good advertising. CQ Ham Radio (Japan) 1971 the FT-2 was at the top of the heap on the left side! 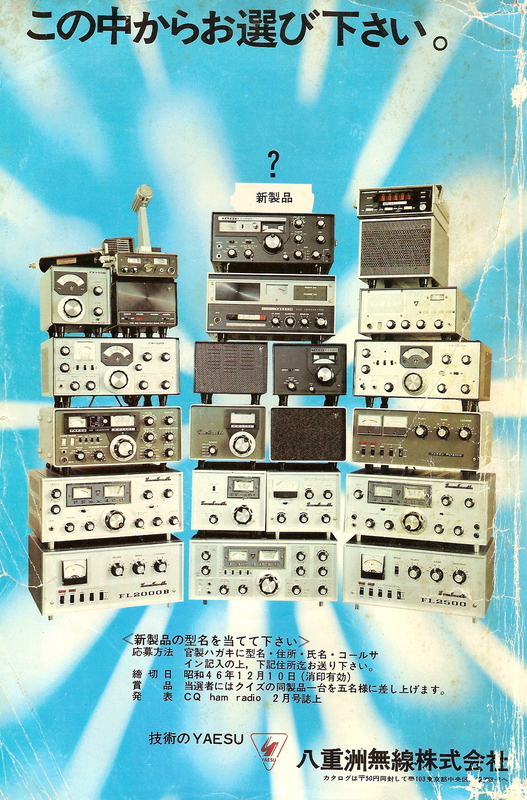 In the middle row top of the heap you see the famous FT-200 (Tempo One) and right above the the FT-200 in Japanese the advertisement says: What will be the the next thing (?) 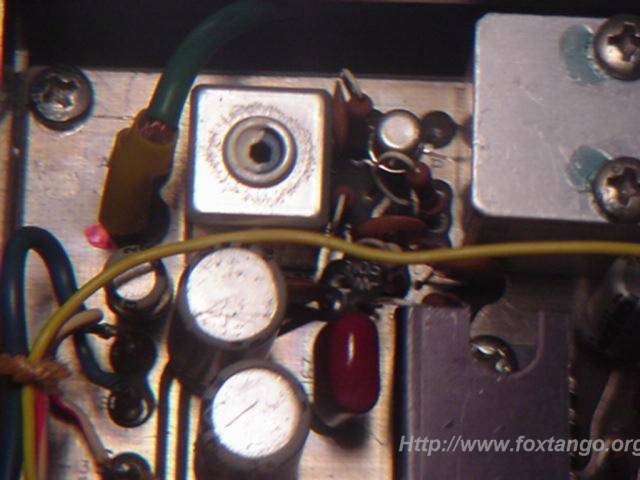 To the left of the FT-200 you see the FT-2 attached to its two amp FP-2 power supply. We will be coming back to the FT-2 with a more detailed look inside. 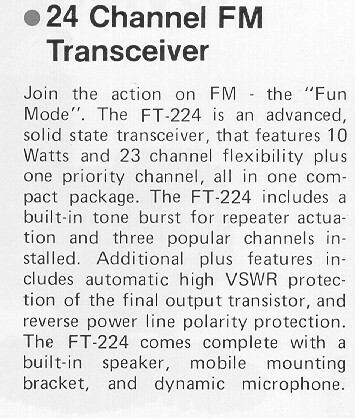 In 1972 for its time the FT-2 Auto had to be one of the most interesting and complex transceivers ever made. 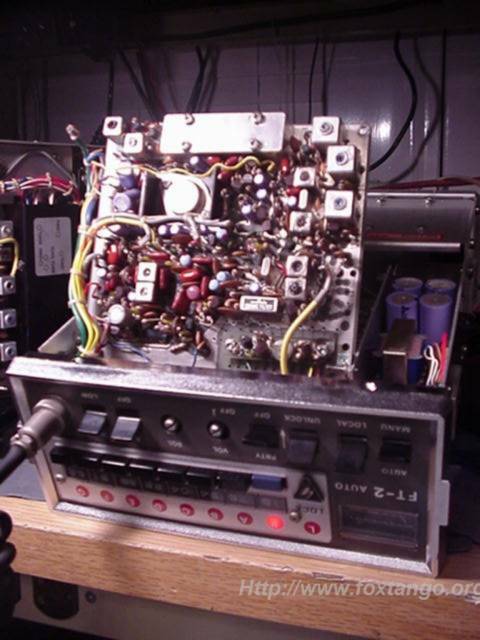 Little more then an eight channel 2 meter transceiver this transceiver was packed with features unheard of for it's time and you have to remember this was long before the microprocessor invaded the households of the world. The FT-2 Auto is a precision built, compact high performance FM transceiver. Operates between 144-146 MHz or 146-148 MHz. Sporting EIGHT crystal controlled channels with one PRIORITY channel. The transceiver was quite an innovation for its time, with its automatic scan feature it would continually scan all eight channels at a rate of 20 channels per second then stop on an active channel when the squelch would break open. 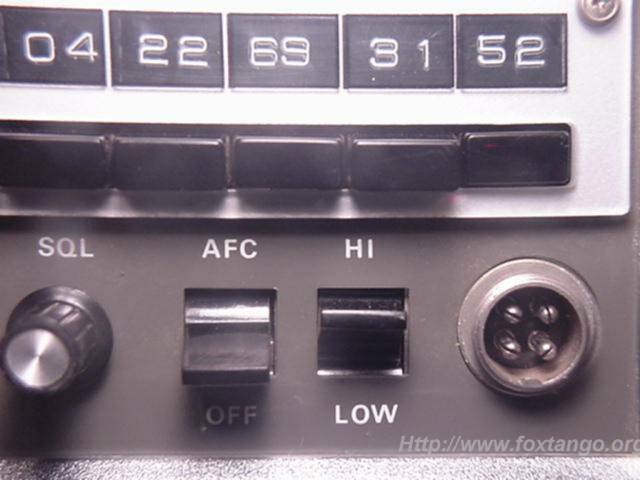 Resembling more so that of a fancy police scanner these features were built into the FT-2 Auto including its own AC power supply. 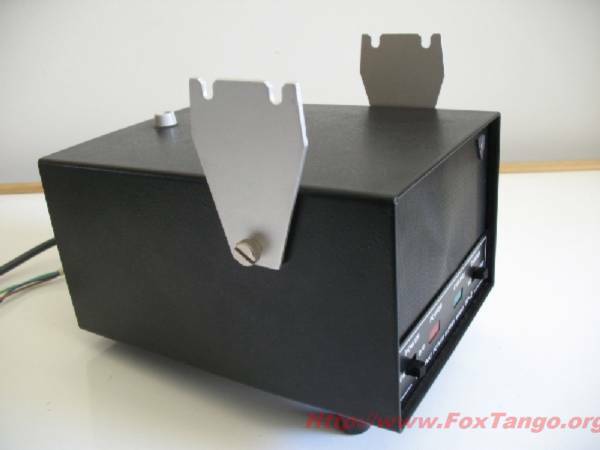 The AC power transformer in the FT-2 Auto weighs more then any modern 2 meter hand held transceiver on the market today, while it's 4 Ohm 2 watt speaker alone is larger in size then most hand held radios of the 21st century. 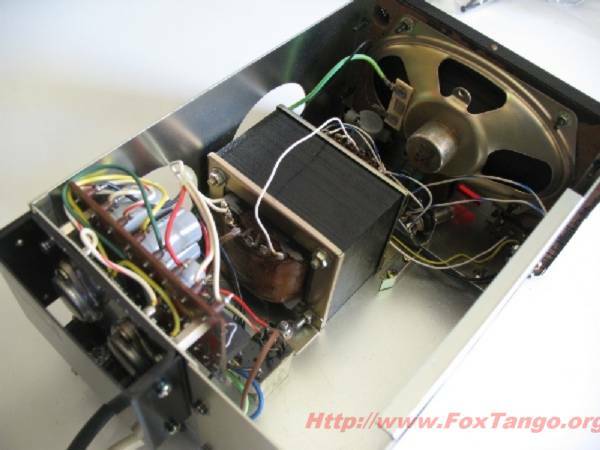 A look inside the FT-2 Auto reveals it's large speaker and heavy power transformer. Looking form the top we see the transmitter circuitry. The final amplifier featured AFP (automatic final protection) circuitry provided to protect the final transistor against over-load condition which may occur if the transceiver is keyed without an antenna or into a high VSWR. The final amplifier a 2SC1190 delivered 10 watts of RF output power into a 50 ohm load or 1 watt in lower power, selectable by a front panel power control switch for high and low power. 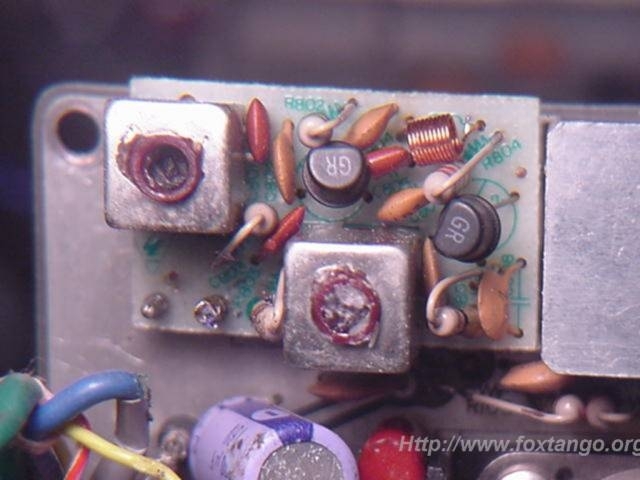 Looking into the FT-2 Auto from the bottom reveals the receiver circuitry, a double conversion superheterodyne receiver using 10.7 MHz first IF and a 455 KHz second IF. 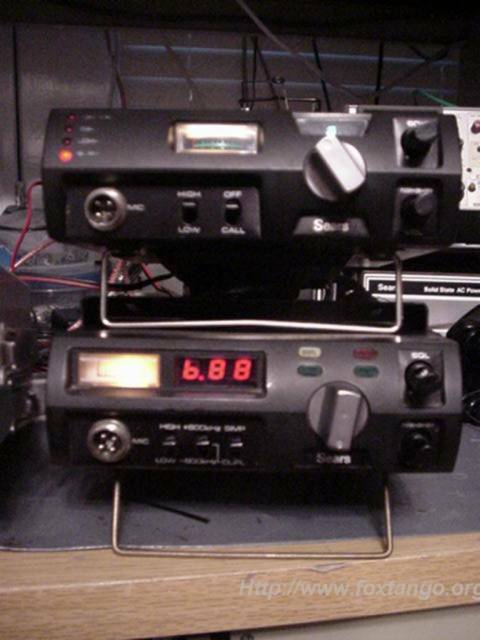 This was a common configuration for most VHF radios of it's time and remains so even to this date using both 10.7 & 455 KHz I.F. 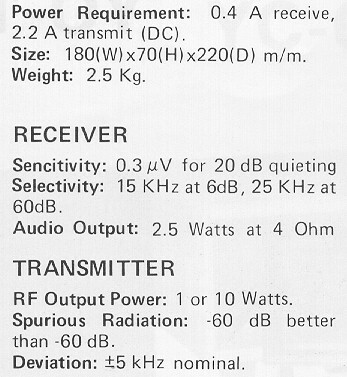 frequencies in a double conversion VHF receiver. 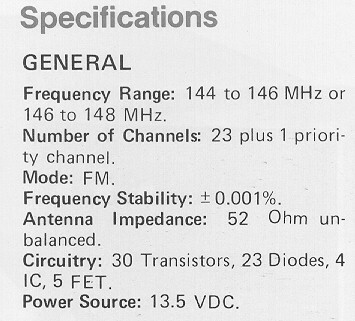 I will point out a couple of interesting things about the FT-2 Autos receiver in that there were changes being made to the transceiver that did not meet the eye or make it into the owners manual, not all FT-2 Auto transceivers were created equal. Interesting to note fist off were the changes in the RF amplifier circuitry. 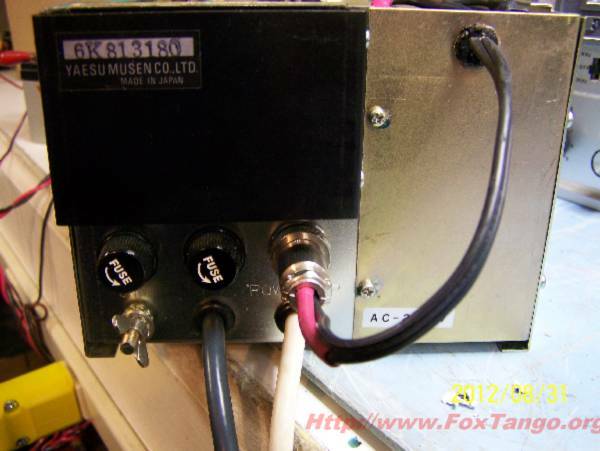 (PB-1243) the front end had two FETs commonly used by Yaesu was two (2SK19GR) FETs in the front end of the early model transceiver (1972 Ser No. 203138). However in less then one years time the dual FETs were changed out to accommodate a single high gain MOSFET type 3SK39. 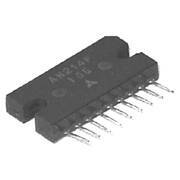 This could be upgraded with a 3SK40, 3N201 or 3N211 today for higher gain and front end diode protection. A 3SK39Q MOSFET front end in FT2 Auto, PB1243 is gone. Another interesting thing that is very striking when you first lift the bonnet of this gem is the use of the early Matsushita AN212 audio amplifier I.C. in what looked more like a TO-220 transistor case (1972 Ser No. 203138) with it's 13 pins. I could only imagine you would play hell trying to find one of these things today should it decide to take a dive on you. However you will notice in the slightly newer model (1972 Ser No. 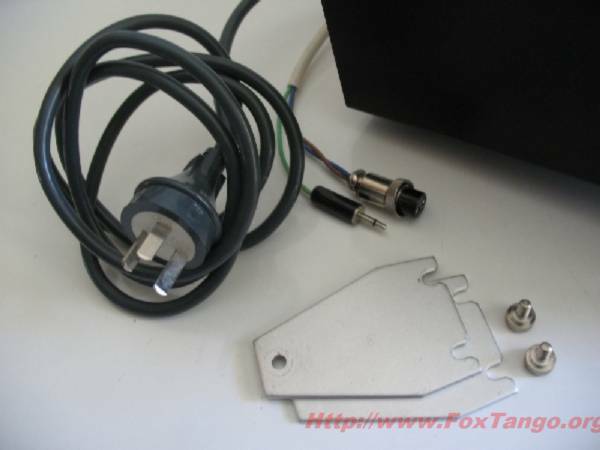 204020 it has has the improved front end MOSFET) the engineers at Yaesu also upgraded the audio amplifier to the more common available AN-214 a single in line package (SIP) 4.4 watt 9 pin I.C. 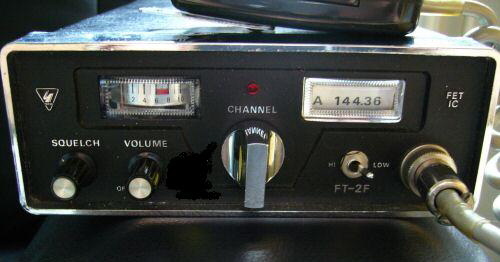 The AN-214 was used extensively in most Yaesu products throughout the 1970s. You will find this I.C. 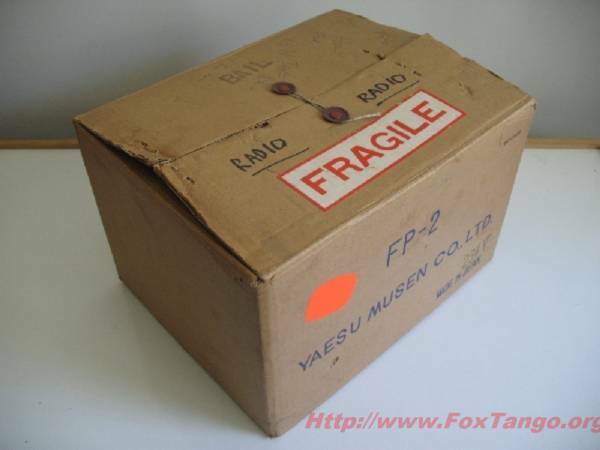 in just about everything you have to service that Yaesu made unless it was a very early product produced by the company. The AN-214 can be replaced with still yet available NTE 1058. This same I.C. was used in the FT-101E/EE and later models. Servicing of the receiver deck can easily be accomplished by the receiver board folding outward for the technician to gain easy access to the under side of the board. At one time they made these radios so a technician could work on them, that is not always the case in a modern transceiver. Lifting the receiver board the technician can get to a row of eight trimmer capacitors to set the transmit crystals on the proper frequency. 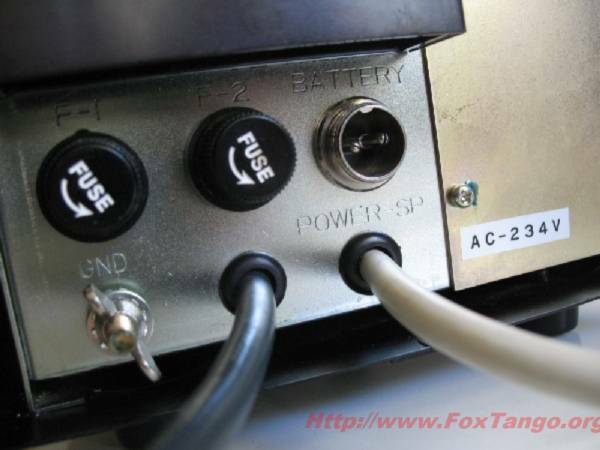 and the TONE BURST switch on the rear of the transceiver. and the Tone Burst switch was brought to the front panel. Don't confuse Tone Burst, with the (Motorola P.L) sub audible tones used in today's modern mobile and hand held radio transceivers. I believe the idea of using a Tone Burst to bring up a repeater is now something of the past. 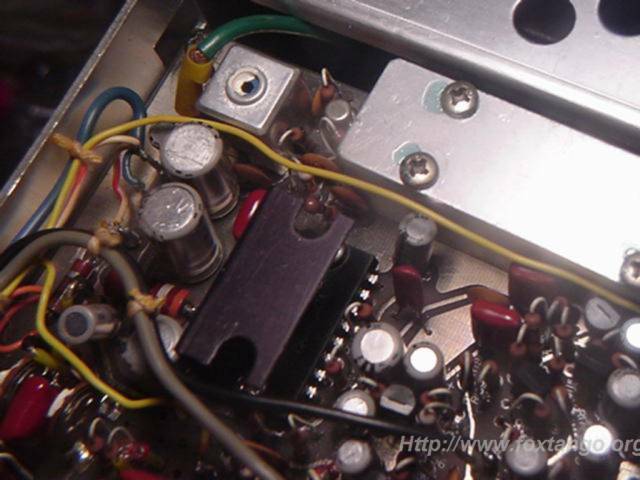 The tone burst concept was one in which the transceiver would make a tone signal of approximately 1800Hz and it was transmitted for a very short period of time at the beginning of the transmission. You can actually hear the tone which would fall within the range of human hearing (audio range 20 Hz to 20000 Hz.) However today it is by far more favorable to use (P.L.) tones. Motorola came up with this method of Private Line (PL) tones to get more than one land mobile customer on the same frequency at almost the same time with many other customers, assuming everyone wasn't trying to talk at the same time it worked. Customers could coexist on the same frequency and they did not have to listen to each other, carrier squelch PL tones could be used to open the receiver assuming the transmitter on the other end was using the same tone. Thus supposedly you had a Private Line, when in reality if the receiver squelch was opened you could monitor everything on the frequency regardless. Motorola invented the Continuous Tone Coded Squelch System (CTCSS) or what we usually call "PL" today, short for "Private line." Private line tones are transmitted continuous throughout the entire length of the transmission, but you would never know it since they fall out of the hearing range of the human ear. 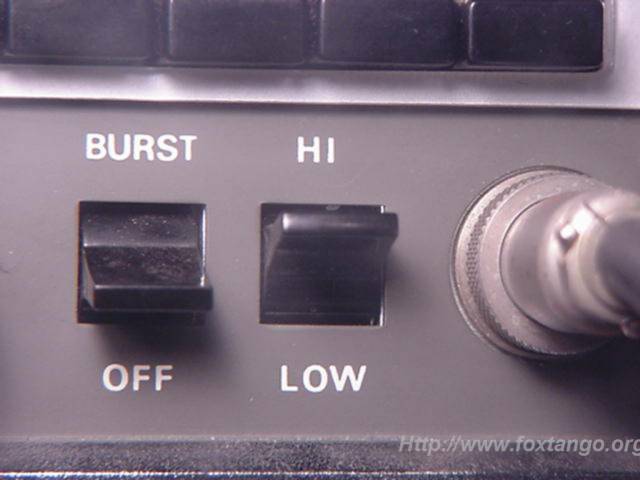 Where as with the use of a tone burst generator you would hear the annoying tone every time the transmitter was keyed. One last point of interest about PL tones before we move on, since we are on the subject. The original PL tone frequency generators were made similar to that of a tuning fork encased in a small holder they actually used a REED tuned for the specific tone. Motorola's had a name for these little CTS encoders, they called them a VIBRASPONDER. In the photo above you can see the resonate reed Vibrasponder with a sub audible tone frequency of 110.9 Hz imprinted on the case. If a company with a fleet of trucks had a problem on a given frequency due to interference, in order to change the CTS tone on one vehicle then all of the vehicles in the fleet would also have their Vibrasponders changed to the new PL tone to keep everyone in the fleet the same. This process of producing a PL tones has come a long ways since the days of the Vibrasponder, today this is accomplished by the use of a microprocessor in modern transceivers. The Vibrasponder and the tone bust was the technology used in the 1970s and is now a thing of the past. 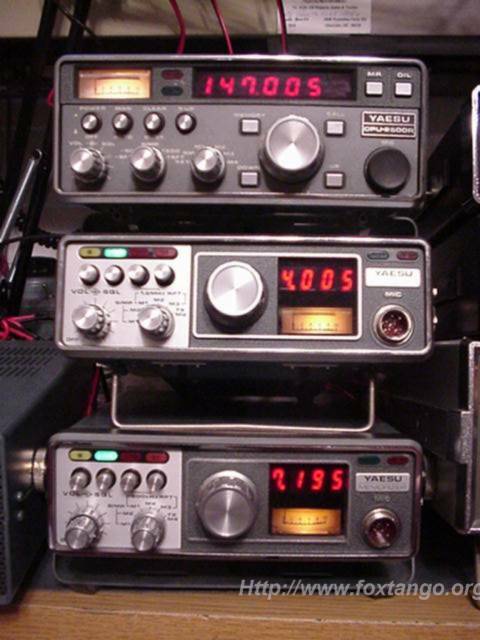 If you're looking to install PL tones into an older mobile or hand held radio transceiver, the best source for these devices is Communications Specialists Inc. A List of the various PL tones can be viewed here. 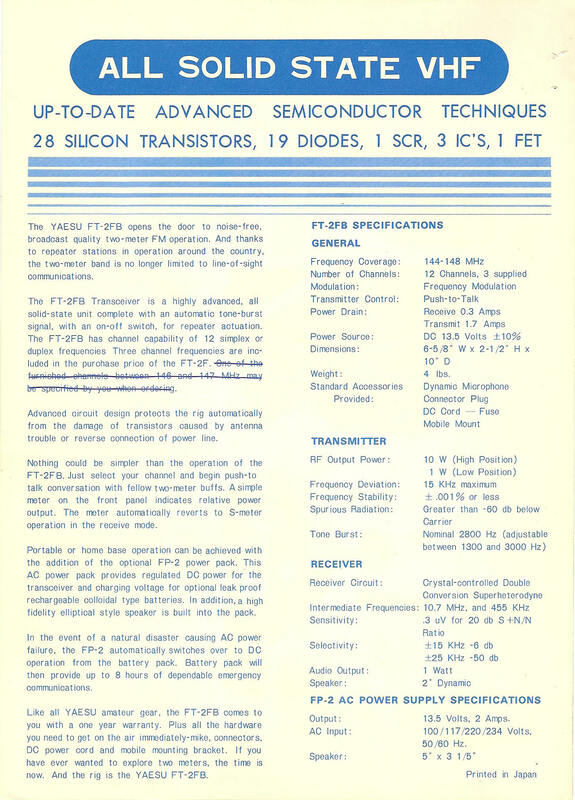 In order to close our look at the FT-2 Auto we need to look into one last feature a little closer as it's such an important part of how the transceiver accomplished the scanning process, in light of the fact there were no microprocessors in radios at that time. The microprocessor as we know it today was still to come a few years down the line at the time the FT-2 Auto was on the production line. So thing were done quite a bit differently from the way we think of them today. At the time the micro processor and hand held calculator were not quite ready for their world debut when the FT-2 Auto was king. So how did they manage to scan those channels so quickly? 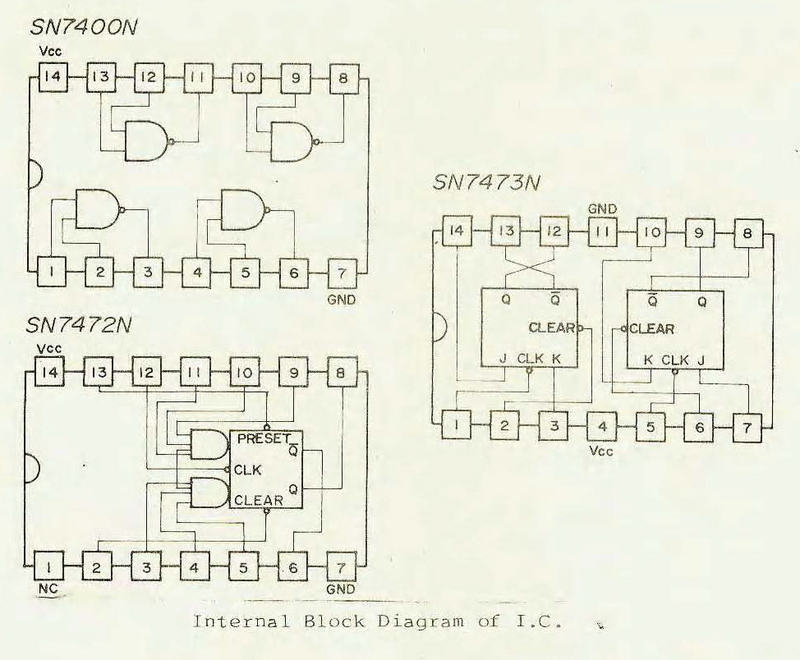 The transmit and receive crystals for each channel were selected by the switching action of sixteen transistors (eight Tx and eight Rx) Q317 through Q327 and some complex digital circuitry consisting of a clock pulse generator and three flip-flop circuits with a diode matrix circuit. 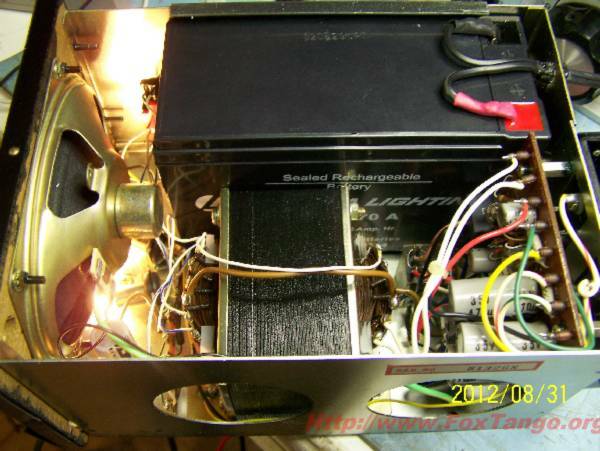 Using a commonly available SN7400 (Quadruple 2 input positive NAND gates) combined with an SN7473N (DUAL J-K FLIP-FLOPS WITH CLEAR) and a SN7472N (AND-GATED J-K MASTER-SLAVE FLIP-FLOPS WITH PRESET AND CLEAR) the engineers at Yaesu managed to come up with a scanning circuitry that did the job, worked good and literally lasted a long time. If none of this makes any sense to you then you are in for a real treat in the way of a cram course education in digital electronics. 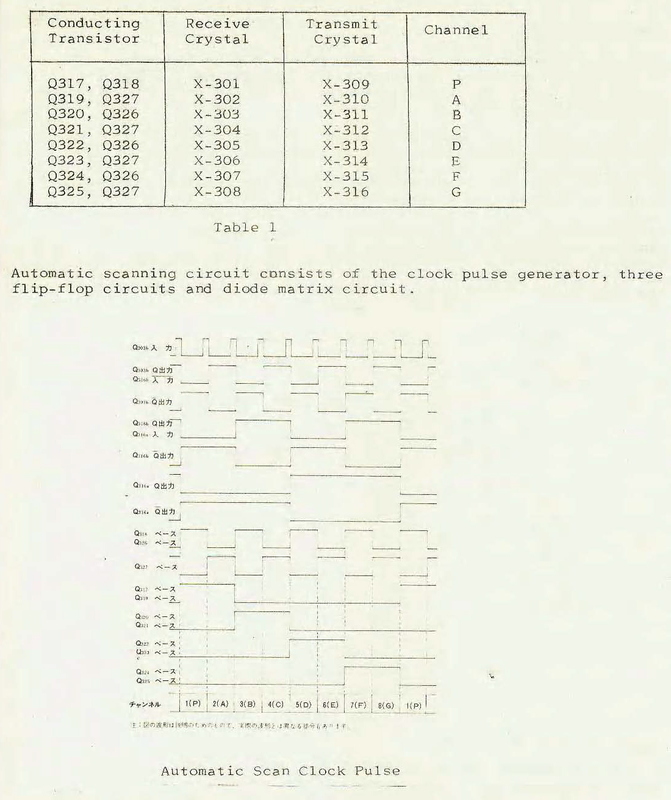 If you're an old timer to this sort of thing the FT-2 Auto owners manual will provide you with a good review of some early digital circuitry basics. If you're new to the game you'll want to study up a bit on AND / OR / NAND gates, JK Flip Flops, Q and Q-NOT terminology before you try to service one of these rigs on your own. But FEAR NOT! This sort of circuitry is not as complex to service as one might think. Even with a limited knowledge of digital electronics a service technician can check for basic voltages and activity at the I.C. chips input and output with an Oscilloscope or inexpensive logic probe. Basically all you need do is look for good Good Goes-In-Za and Good Goes-Out-ta. If you have voltage to the I.C. and digital signal in to the chip, yet nothing coming out, replace the thing! Remember when working on circuits like this to KEEP IT SIMPLE! Usually if one goes dead there will be no activity showing on the scope and you can shot gun that part with a new one. Chances are you can fix it! Yaesu was kind enough to give a good explanation as to how the circuitry works. including the I.C. and a large blue print type schematic came with the manual. Whether or not you understand the circuitry or not, the FT-2 Auto was quite an accomplishment in engineering for its time! 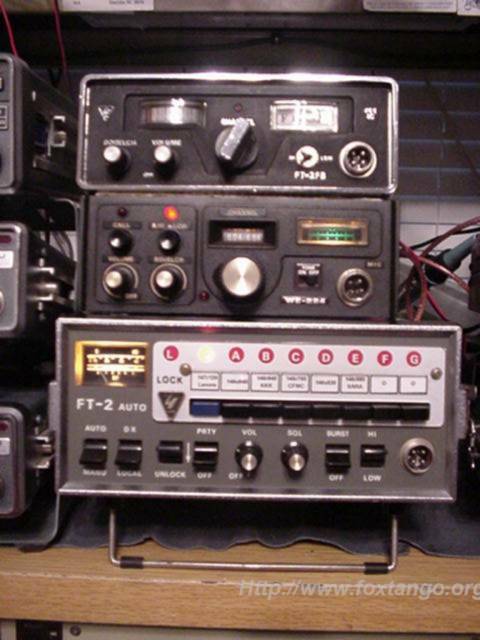 The photos I have provided of the transceiver above are from a working FT-2 Auto, it likely works as good today as the day it was new, not bad for a transceiver that is some 34+ years old. 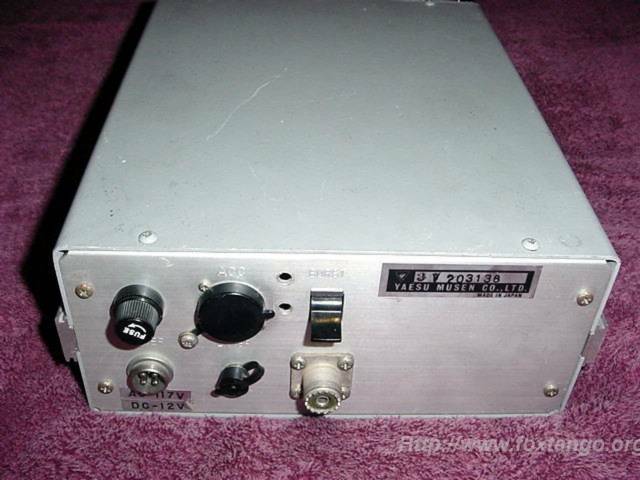 Well gang it took a long time to come up with the info for this radio, but I'm happy to say I was able to find it and provide it to you here before it was long lost from the amateur radio archives for ever. 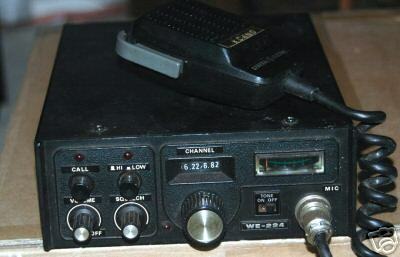 Yes it's an old transceiver, but there appears to be plenty of them still around. Finding the owners manual and schematic for this rig proved to be most difficult to come by as it is truly a rare item to find in this day and age. So if you are looking for this manual consider yourself lucky as you have come to the right place on the net.